Yesterday, EQMM’s second All Nations issue, May 2016—containing stories from twelve different countries and six continents—went on sale. Lamentably, sixty-eight years after our first All Nations issue, the world continues to have “a long way to go politically” before it truly becomes one in the sense editor Dannay envisioned. The recent terror attacks in Belgium brought that home to us as little else could, for seven of the authors EQMM has recently published in translation (Bob Van Laerhoven, Bram Dehouck, Hilde Vandermeeren, Herbert DePaepe, Els Depuydt, Bavo Dhooge, and Pieter Aspe) live in the midst of that terror. EQMM’s first All Nations issue was conceived just two years after the first meeting of the United Nations General Assembly, a time when many had hopes of achieving unprecedented international harmony. But it was also born under the shadow of a recently ended, devastating world war. In my From the Editor’s Desk piece in this new All Nations issue, I allude to a comment made by one of the contributors to the first All Nations issue in 1948, H.T. Alfon. “Your magazine,” he said, “finds many readers even as far as here, Manila—EQMM has grown known that fast, that far.” Although EQMM’s quickly extended worldwide reach surely had much to do with the quality of the publication, I think it probably also has to be explained as part of a more general outward flow of American culture all over the globe at the end of the war—and, as a result of the magazine having been shipped to troops all over the world throughout the war. Sadly, in many parts of the world today, writers and artists continue to have their ideas and artistic aims suppressed. But at least the “global village” we now live in makes their plight better known than would have been the case in previous generations. If there’s one thing our new All Nations issue brings out, it’s how small and closely connected our world has become. Absorption of elements of various cultures into one another has become so ubiquitous that by pure coincidence this issue’s two independently commissioned stories from Asia both turn on the holiday of Christmas. The geographical merging of peoples from vastly different cultures through displacement is another reality of our time that, for many, reinforces the sense of our world having become small and village-like, at least in the sense that we all share the consequences of actions taken in any part of it. Swiss writer Petra Ivanov explores the plight of the refugees of conflict in her contribution to the issue; it’s a story written before the major migration to Europe of refugees from the war in Syria, but it might as easily have been their story. 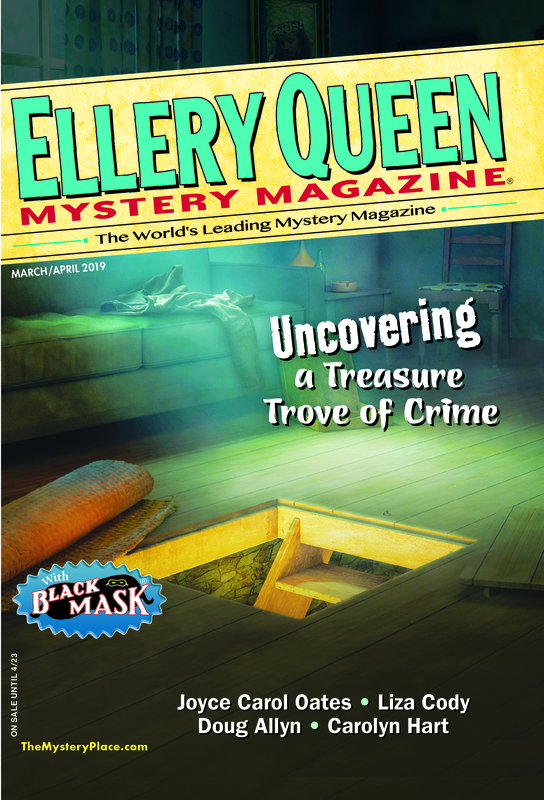 This entry was posted in Classic Mystery, Ellery Queen, Fiction, History, International, Magazine, Passport, Translation and tagged all nations, classic mystery, crime, fiction, genre, history, international, magazine, mystery, translation, united nations. Bookmark the permalink. This post is about so much more than “just” a single issue of a single magazine. Thanks for sharing these thoughts so eloquently, Janet. So interesting to learn the history of EQMM in this wonderful article and others throughout the 75th anniversary year. I look forward to reading the May issue! Thanks, Josh and Vija. So hope you’ll enjoy the issue.